Lance Cpl. 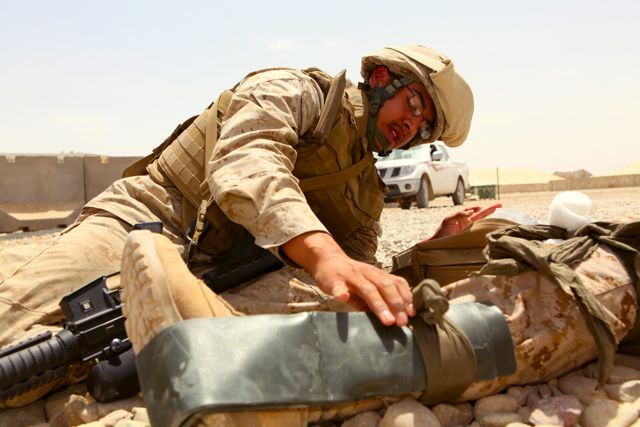 Felipe Pech, an entry control point sentry for 3rd Marine Aircraft Wing (Forward), secures a splint on a simulated casualty May 21 during his test in the Combat Lifesavers Course in Camp Leatherneck in Afghanistan. Photo via the US Marines by Gunnery Sgt. Steven Williams.